If you pay us a visit or pass by our grooming center in Magliano Alfieri there are some nice things you could do to spend your time here. We have a beautiful castle to visit nearby, and you could also have a tasty fresh-tomatoes pizza at the renowned Pizzeria Il Pomodoro! You could also go for a relaxing hike to admire the breathtaking landscape of the Langhe and the surroundings, you should take a peek from the panoramic viewpoint next to the castle. Really, your call. Your doggy needs a wash? Well, while you're waiting for Balla Coi Lupi's services completion you won't waste your holiday afternoon in some boring place! 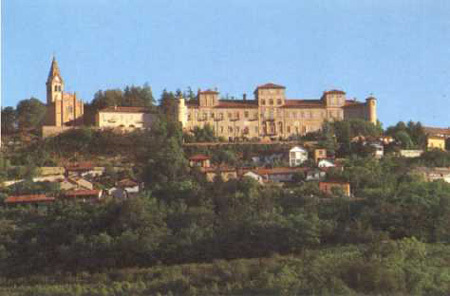 Castle of the Alfieri family of Magliano (XVII century). In the Seventeenth century the count Catalano Alfieri, general of the Savoy's infantry, built an elegant baroque abode where the medieval fortress resided. The castle was then consigned to the Alfieri of Sostegno, gentlemen of San Martino. Vittorio Alfieri lived inside this castle till the age of nine. He's the creator of the Italian tragedy and author of important pieces of Italian literature. Today this castle belongs to Magliano's district.